Our annual Budget Summary outlines the key developments which impact on the life and pensions industry and the advice you provide to your clients. 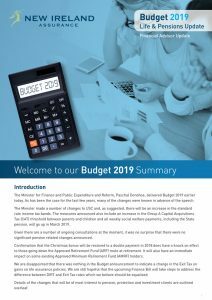 To inform your clients of key developments you can brand the Budget Summary via Marketing Centre (general tab) with your contact information. 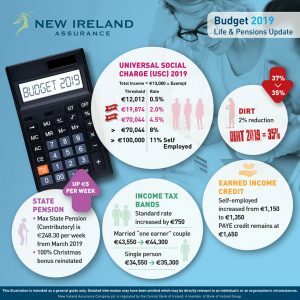 You can also share the infographic below via New Ireland’s LinkedIn page.